2018 was an exciting year for Movemeon. Shortlisting. While hiring managers can always access each and every application, account managers now CV screen every application to select the best candidates and highlight them to save time for the hiring manager. Proactive search. We built a vastly improved candidate invite tool which allows our account managers to see more relevant candidate information and thus send much more targeted individual invitations to apply to specific roles. Improved candidate management tools. Based on client feedback, we built a host of useful features including direct login links, automated emails flagging new applicants and applicants due to be rejected, better in-platform note-taking facilities and the ability to set bespoke questions in job posts for more tailored cover letters, among many more! A more hands-on service. As well as regular shortlists, we grew our Success team to enable us to spend more time where it matters: marketing roles, sending targeted job alerts and bespoke invitations, introducing candidates for interview and passing on feedback to those who aren’t a good fit. More data. We’ve introduced the most comprehensive salary report of ex-consultants out there; you can check the 5 key figures from the 2018 report here, and request the upcoming 2019 report here. An ever-growing network. We’ve welcomed over 100 new candidates onto the platform every week throughout 2018, taking our community of consultants and alumni to now almost 33,000 candidates. International expansion. Movemeon has placed candidates in exciting opportunities all over the world, with a quarter of the hires made through us last year being outside the UK. In 2018 we supercharged our international growth by building a dedicated team to lead our operations in France, something we’re looking to replicate for Germany this year to increase the number of opportunities on offer to our German candidates, and vice versa. Accounting. Until now we have been concentrating our efforts on keeping up with strong demand on the consultant side of our business. This is set to change in 2019, and we’re currently hiring for someone who will be able to focus all their efforts on the growth of Movemeon Accounting. Candidate experience. Not only are we making some pretty changes to our website, making job discovery easier and more intuitive for our candidates, but we’re also doubling down on ensuring every candidate receives timely updates following their application, and more detailed feedback if things don’t work out. Employer dashboard. 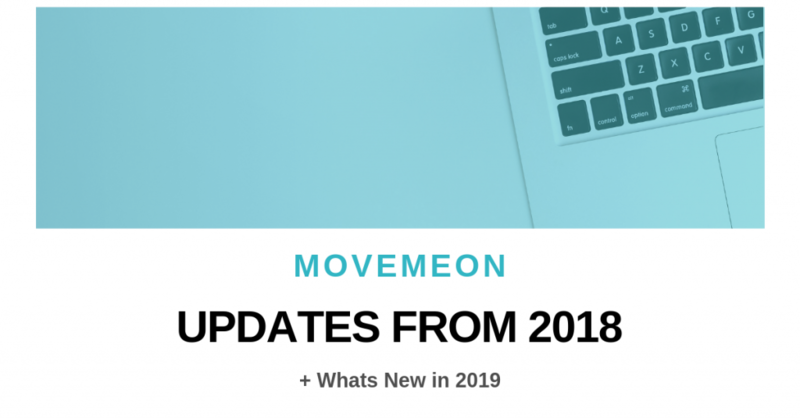 Our product team have been busy collating detailed feedback from hiring managers and recruitment teams using Movemeon, and they now have a wealth of ideas to improve the employer side of the platform, making it work better for everyone (from small start-ups to large corporates). Commercial models. We’re further developing our membership models to ensure we’re offering the right options to support all volumes of hiring. Get in touch to find out more. We can’t wait to get stuck in and share our progress with you throughout 2019. To every client and candidate coming along for the ride – keep the feedback coming, and thank you for spreading the word and continuing to support us! PS – in case you missed it, you can request our 2019 salary report here or check the 5 key figures from the 2018 report here.